As Real Estate Manager, Jon Graber is responsible for identifying development opportunities and site acquisitions in Florida and Georgia for The Sembler Company, a full-service development firm with more than 50 years of experience in the industry and a portfolio throughout the southeastern U.S. and Puerto Rico. Graber has been with Sembler for seven years, including a stint in the leasing department that gave him a unique perspective on the site characteristics that lead to success for tenants. He also previously served as Director of Retail Investment Sales for Tampa-based Franklin Street Real Estate Services. 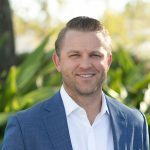 Graber is actively involved in the International Council of Shopping Centers, serving most recently on the West Florida Idea Exchange Planning Committee, and is a past Chair of the Tampa Bay chapter’s Next Generation Committee. He is also a member of the Urban Land Institute, and has served as VP of Programs for the Young Leaders committee. He earned his CCIM designation in 2011, and obtained a Florida Real Estate License in 2007. Graber holds a Bachelor of Science degree in Finance and Real Estate from Florida State University.